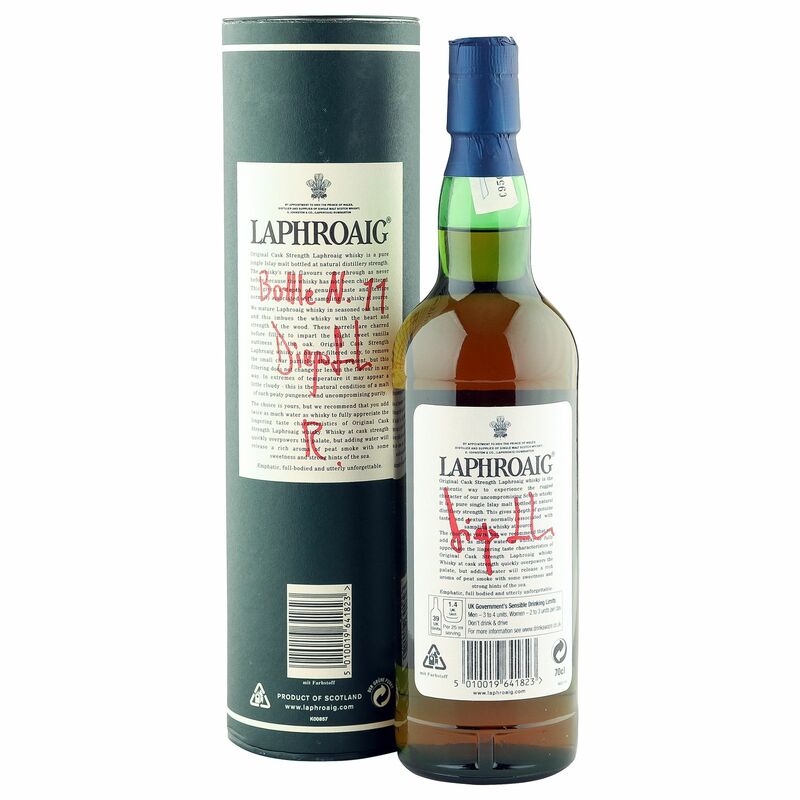 This 10 year old Laphroaig single malt is a special bottling by the famed Italian singer/song writer and whisky connoisseur, Diego Sandrin. Having gained special permission from the distillery owners, Diego finished 22 bottles of Laphroaig 10 year old cask strength for a further 12 months in small casks that had previously held Raboso, local wine from Veneto, North East Italy. 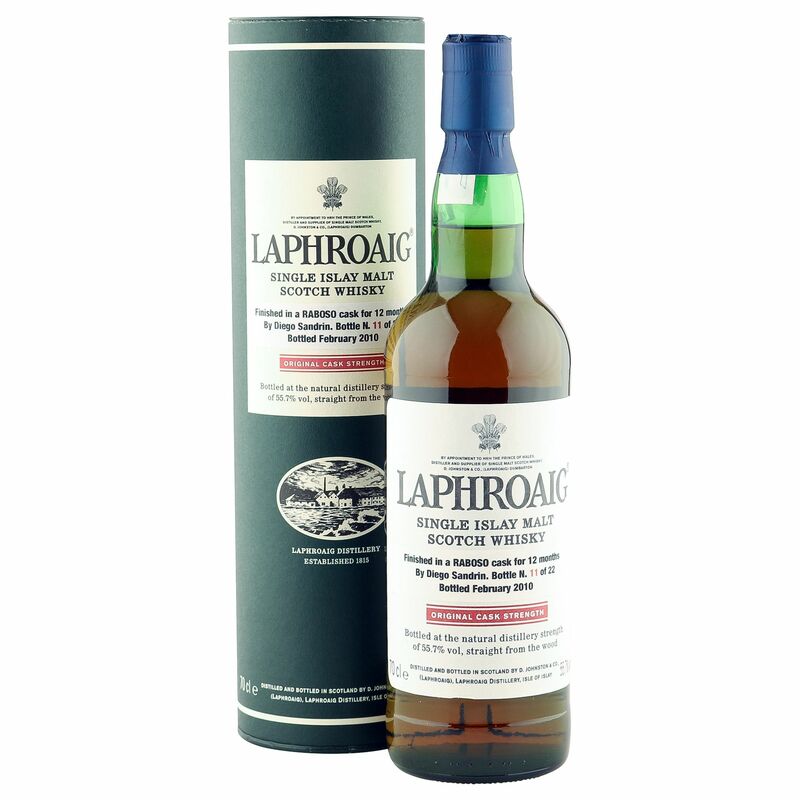 Bottled in February 2010, this special release consisting of just 22 bottles received an astonishing 93 points from WhiskyFun and is hand signed on the rear of both bottle and tube packaging, articulating this as bottle number 11.